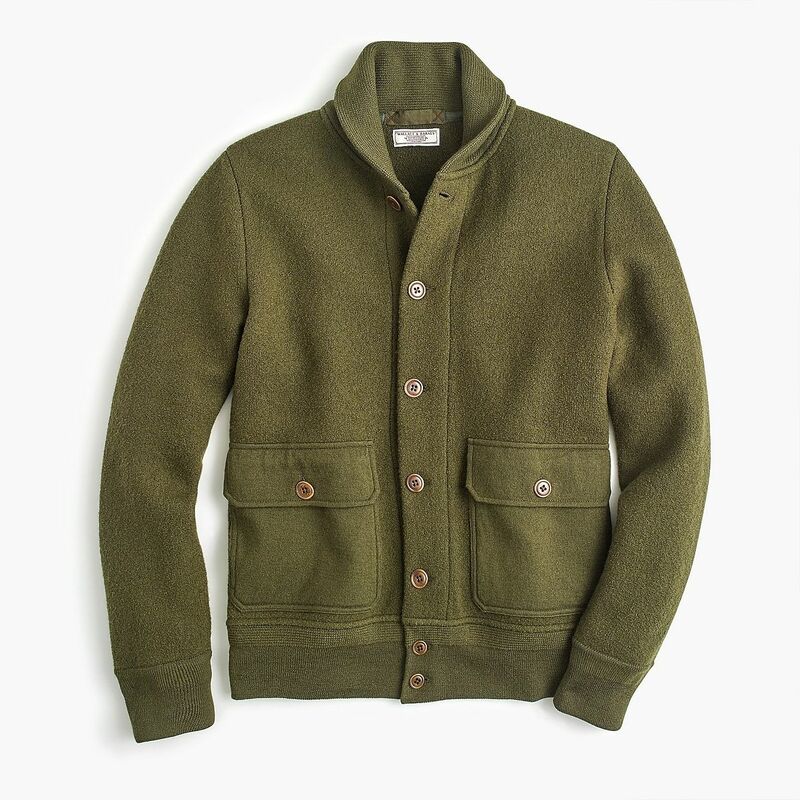 J Crew doesn't call this thing a Blouson, but it basically is. I really like it but I have too many of these bombers. This is completely brand new. Unworn, new with tags. Hoping to re-coup the roughly $120 I spent on this. Full disclosure: this is mostly sold out in size L and in this color but if you want to be patient, you may see some popping up on J Crew on deep discount. If this doesn't sell, I'm more than happy to keep it because I do really like it, but I definitely don't need it. Hit me up if interested. I'm 6 foot 2, ~185lbs. It fits on the bigger end of true to size. I will provide measurements and try to snap a photo wearing it.